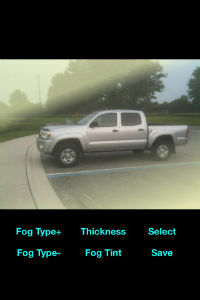 Add many different fog effects and fog overlays to any of your pictures with just a tap of a button on your iphone. 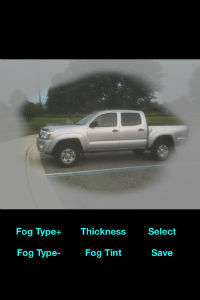 You can also adjust the tint of the fog and adjust the fog thickness. Note that your original photos are never altered in any way, as a new photo is saved in your library. 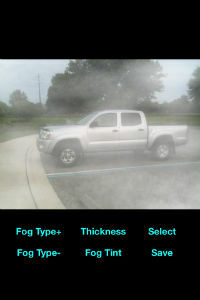 Select any photo, then tap through different fog effects or smoke effects. Adjust the tint to see the fog effect or smoke effect on your photos different ways. Adjust the thickness so the fog or smoke appears lighter or thicker across your photo.